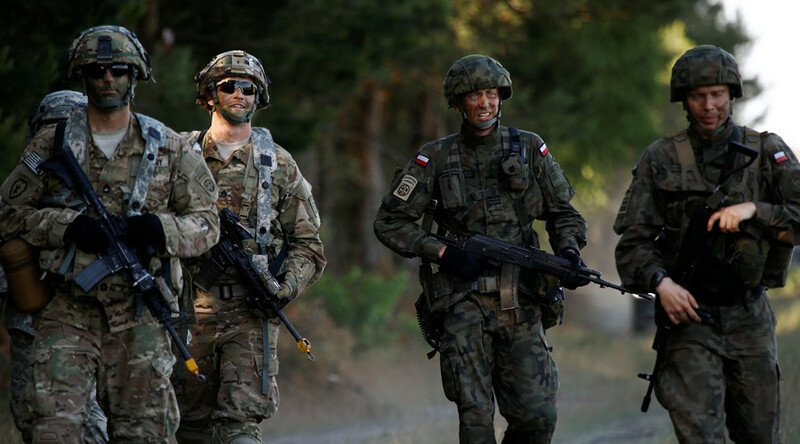 As part of the implementation of the conclusions of the NATO Summit in Warsaw, four multinational battle groups have been deployed in Poland, Estonia, Lithuania and Latvia with the total number of troops exceeding 4,500. The idea of creating units to rotate through Bulgaria and Romania next year is being widely discussed within NATO. Taken together, these battle groups amount to a motorized infantry brigade with heavy weapons. The presence of US forces in Europe is also rapidly growing. 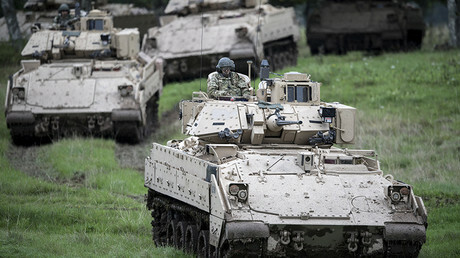 In January, the most significant American military unit (an armored brigade consisting of 3,500 troops and 2,500 pieces of equipment, including 87 tanks, 144 infantry fighting vehicles, 18 self-propelled artillery) was relocated on a rotational basis to Poland. This unit was involved in military training in the Baltic countries, Bulgaria, Romania, and Germany. NATO activity along Russia’s borders contradicts the 1997 Founding Act on Mutual Relations, Cooperation, and Security between NATO and the Russian Federation. According to this document, “in the current and foreseeable security environment, the Alliance will carry out its collective defense and other missions by ensuring the necessary interoperability, integration, and capability for reinforcement rather than by additional permanent stationing of substantial combat forces.” Unfortunately, the Founding Act does not specify what “interoperability,” “integration,” “capability reinforcement” and “substantial combat forces” mean. Since 1997, Russia has been bringing up the issue of the mutually acceptable definition of "substantial combat forces." 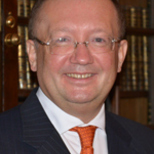 In December 2009, at the ministerial meeting of the NATO-Russia Council, Russia proposed a draft Agreement on the basic elements of the security relationship between the members of the NATO-Russia Council. According to Article 4 of the draft document: "the Russian Federation and all the states, which were members of NATO on 27 May 1997, respectively, abstain from permanently deploying (including a temporary deployment of more than 42 days in a calendar year) their substantial combat forces (combat brigade or combat support brigade), air wing/aviation regiment, helicopter battalion/helicopter regiment, or having more than 41 tanks, or 188 armored vehicles, or 90 artillery units of 100 mm caliber or more, or 24 combat aircraft, or 24 attack helicopters) on the territory of all other European states in addition to the forces deployed on this territory as of 27 May 1997. In the event of the need to neutralize the threat to the security of one or several parties to the Agreement, this must be carried out with the consent of all the members of the NATO-Russia Council." Unfortunately, NATO members refused to discuss Russia’s proposals, that’s why the characteristics of "significant combat forces" still remain unspecified. If nothing changes, this would seriously undermine the European and global security system.